The published records below is the current list of club records based on results published electronically since 1999. Criteria: Short Course Times recorded in a 25m pool. Accredited Meets & Club Championships. SASA Registered Member of Bathgate ASC at day of meet. Age as at day of Meet. 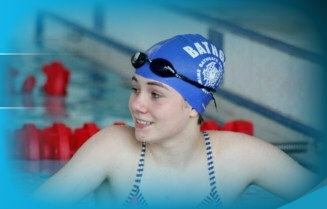 BATHGATE ASC LONG COURSE RECORDS Criteria: Long Course Times recorded in a 50m pool. If you would like to claim one of our records please email the club with details of event and meet. If possible please provide an electronic copy of the results or link to the published results. Top Ten Swimmer Lists for each event and age group are available to view on the Swimmers PB's Page. Swim West Lothian Short Course & Long Course Records set by SWL athletes since the formation of SWL in Sept 2007.